I’m one of those people who changes their favorite band on a whim. Perhaps one brilliant track changes my mind, or maybe I’m awestruck when I love every single song on an album. Whatever reason for the change, I can be pretty fickle about what I call my favorite. In high school, I’d never even heard of The Cab. It wasn’t until one afternoon at Emory, skipping around in the more musically-inclined areas of YouTube, that I stumbled upon a video featuring the track “Angel With A Shotgun,” and I promptly fell in love. After that, I found the entire album, Symphony Soldier, online, and I fell in love with it over and over again — with every single song. The Cab started out as two guys playing music together at their Nevada high school. Once they got a group together, Spencer Smith of Panic! At The Disco got them signed with Decaydance Records, and their journey began. The Cab toured with tons of well-known bands like Cobra Starship and Plain White Tees and slowly began acquiring notoriety for their unique, pumped-up sound. They released their first album, Whisper War, in 2008. The album featured 12 original tracks in their favorite style: pop-punk and alternative rock. The songs were quick, upbeat and impossible not to dance to. 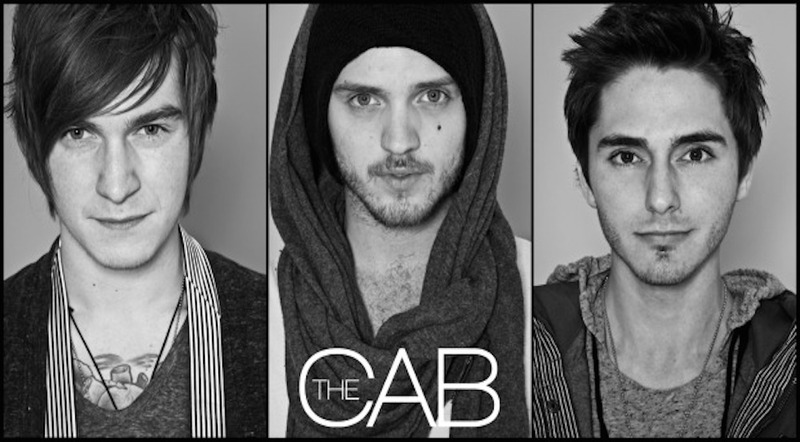 The Cab’s music covers numerous genres that gives them a very unique sound that is constantly evolving. In 2011, The Cab released Symphony Soldier, the album that caught my attention a couple of years later. The album’s first single, “Bad,” was released early: a song whose backing makes you want to sway like it’s the 50s. The famed “Angel With A Shotgun” takes a fantasy approach to that protective sort of love in which you’ll do anything to keep your significant other safe. It’s dramatic and heroic and filled with power and tales of sacrifice. Last year, the band released their latest EP, Lock Me Up, which featured five new tracks inspired by the R&B-influenced sound the band was looking for. “Numbers” uses this R&B style as it lists off mournful love lyrics, and “Stand Up” takes a similar but faster approach, whistling and clapping in the background as lead singer Alexander DeLeon sings with an unusually quick, rhythmic style. This EP involves all kinds of experimentation on the band’s part. The title track, “Lock Me Up,” uses many of the same features as the tracks in Symphony Soldier: a thumping, marching sort of atmosphere that reminds you of an approaching army. “Moon” takes its listeners on a journey using an electro-pop backing that screams of outer space. The final track on the EP, “These Are The Lies,” utilizes a more electronica approach, backed with pianos and violins as the lyrics tell the story of a man lying to himself to convince himself that he’s alright after a breakup. Fans often come and go as a band changes up their style, but The Cab’s tendency to stay true to their core alternative, pop-rock style, even as their influences change, has given their music a unity that ropes in fans of all styles. I’ve only known about The Cab for a couple of years but they’ve remained my favorite since I discovered them. And for someone who constantly fluctuates between favorites, there’s still something about this band that has kept me listening for years. The Cab is a band worth listening to — with so many influences inspiring them every step of the way, there’s something for everyone in their music.